0.6 x 0.5 x 0.5 cm. 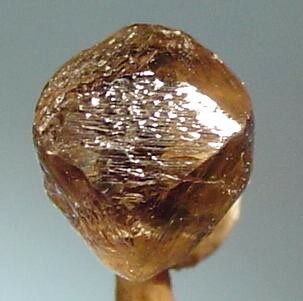 A beautifully symmetrical, sharp, gemmy and highly lustrous, 1.3 carat, brown, octahedral diamond crystal from Sierra Leone, Africa. The stepped growth faces are eye-catching.